Australian Cruise Market Booms: Grew By A Third In 2011 – Other Cruise News: P&O Cruises’ New Fares, Cancellation Penalty & Final Payment Date – Will Venice Ban Larger Cruise Ships? Fort the second year in a row, Australia has set another record, with 623,295 of its nationals and residents booking a cruise in 2011, a growth of one-third in a year and a tripling of the number taking a cruise over five years. We have the latest look at that market, which is now beginning to attract members of the largest classes of ship, including Voyager of the Seas and the Celebrity Solstice. In the UK, we look at P&O Cruises new “Vantage Fares” and “Getwaway Fares” and find that the idea originates with Carnival Cruise Lines in America. But in doing so, we also notice that, quietly last year, P&O increased its deposit requirement (and therefore penalties paid on cancelled cruises) by 50% as well as extending its final payment date from 56 days to 90. Finally, we have a look at the debate in Venice about whether large cruise ships should be allowed to sail past St Mark’s Square. In a feat that even surpassed the huge growth in the Spanish market a few years back, the Australian cruise market grew by 34% last year, from 466,672 cruisers in 2010 to 623,295 in 2011. And that was after 27% growth in 2010! Not only that, but Australia has achieved the second highest market penetration ion the world, with 2.7% of its population having taken a cruise in the past year. 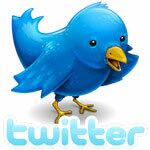 Finally, as a growing market, it has tripled in the last five years. The number of days spent at sea by Australian even exceeded the growth in head count last year, rising by 36% to almost 6.5 million days. And New Zealand, which is small by comparison, grew by 32% to 56,479 souls last year. Large ships such as Royal Caribbean’s 3,114-berth Voyager of the Seas and the 2,852-berth Celebrity Solstice, both first to be completed in their classes, are now identified as Australian market cruise ships, even if just seasonally. Meabnwhile, the 2,124-berth Carnival Spirit, another first in her own class, has now been posted to Australia year-round, joining the ex-Sitmar trio that now all sail for P&O Cruises Australia. This huge growth in the local market is one reason why not only P&O and Cunard, but now also Royal Caribbean and Celebrity have banned the purchase of tickets by Australians from overseas agents. This has put to an end a practice followed by many Australians of buying cruise tickets from US agents. This restraint, which the cruise lines say has been out into place to protect their local agency distribution system, has also made it more difficult of course for Australians to buy cheaper tickets in foreign markets. On the itinerary side, it is noticeable that New Zealand is getting a good look-in. All the itineraries of the Voyager of the Seas and nearly all of the Celebrity Solctice make mutliple calls in New Zealand and tend to concentrate here more than on the South Pacific, which is where Australians usually take 40% of their cruises. Because of the distances involved, Australian-based cruises also tend to be longer than in North America, varying between 11 and 19 nights compared to the typical North American 7-night cruise. Holland America’s 1,918-berth Oosterdam and 1,440-berth Volendam also now cruise from Australia in the southern summer and offer other choices as well. 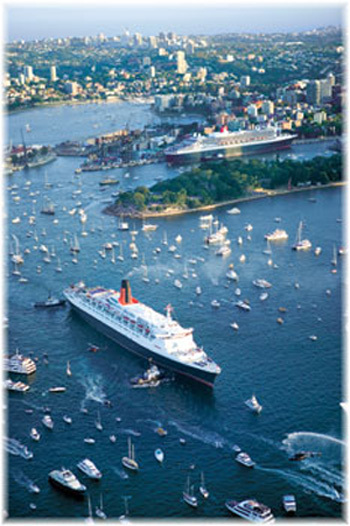 Oosterdam, for example, offers a 23-night Seattle to Sydney crossing, leaving Seattle on September 30, while Volendam offers a 34-night Round Australia cruise, Sydney to Sydney, departing on October 21. The Australian market now also supports its own consumer cruise magazine, the Brisbane-based “World Wide Cruising News & Pictorial,” which publishes six issues a year and is now in its fifteenth year of publication. In terms of makeup, 40% of the Australian cruise market originates in New South Wales, 24% in Queensland, 16% in Victoria, 9% in Western Australia, 5% in South Australia and 3% from the Australian Capital territory. What does this prove? 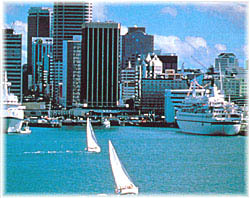 It seems to prove that if the conditions are right and the right ships offered cruise growth can really be tremendous. We have the UK, Spain, Italy, Brazil and now Australia to prove it, as well as Germany. Will France and China follow? In the context of the “Vantage fares” announcement last week from P&O Cruises, it is worth noting that in the UK, unlike many other countries, cruise deposits have always been non-refundable. On June 30 last year, in a circular to agents, P&O Cruises quietly raised the amount of deposit required to confirm a cruise from 10% to 15% of the full fare, starting with 2012 cruises. So now, when UK residents cancel a P&O cruise, they pay 50% more than they did before in cancellation fees. By comparison, in North America and Germany, deposits are generally refunded in full if clients cancel before final payment date. But in Australia P&O Cruises’ deposit policy is $200 per adult and $100 per child. As deposit is lost on cancellations made up to 75 days before sailing, cancellation penalties are much lighter Down Under, especially as a full refund is possible up to 181 days before sailing. The irony is that as P&O Cruises use their UK terms in North America, the Australians have a soft touch here, especially as P&O also allows one free change of reservation in Australia up to 121 days before departure. Back in the UK, starting today, P&O Cruises has brought into effect a new fares policy. Its new “Vantage Fares” will contain a qualified price guarantee, meaning that if the “Vantage Fare” goes down those that have already booked will be compensated by the same amount. But one little twist rather attracts attention to last year’s news in that P&O has also reduced the deposit from the new level of 15% to the previous level of 10%, but only if booked in the next six weeks. While the new “Vantage Fares” will be valid on departures from April 2013, the reduction in deposit will be just temporary. “Passengers can book their cruise safe in the knowledge that if we were to reduce our Vantage Fares, we promise to automatically give them a complimentary benefit such as on board spending money or an upgrade to the value of any reduction in fare. 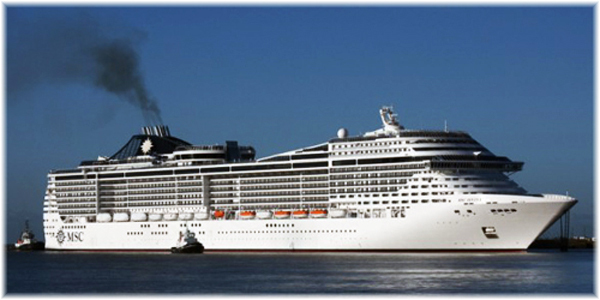 The Price Promise applies to Vantage Fares published by P&O Cruises where the Vantage Fare on a holiday a customer has already booked has been reduced, and the new Vantage Fare applies to the same cruise and grade of cabin, sold under the same terms and conditions (such as the deposit and cancellation terms and whether it is possible to select a cabin number). 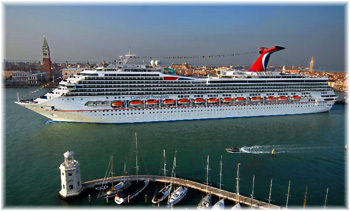 Although Carnival’s “Early Saver” fares were introduced three years ago they also had a sting. In order to guarantee the lower fare, and also be guaranteed of a price match to any new fares, North Americans, accustomed to paying refundable deposits, would now have to pay non-refundable non-transferable deposits. This was a big change for North Americans, who are used to having their deposits refunded as long as they cancel before final payment date. Under the new “Early Saver” fares, they lose them as part of the price pledge trade-off. It should be added however that no other cruise line has yet adopted a non-refundable deposit policy in North America. The same June 2011 P&O announcement that raised deposits from 10% to 15% also announced that the final payment date for cruises would now be 90 days instead of 56. This has not changed with the new “Vantage Fares” and final payments are now due in full a month earlier than in the past. By comparison, Carnival Cruise Lines in North America work on 75 days for cruises of six nights or more (60 days for shorter cruises and 90 days for longer ones). Recent years have seen many cruise lines bring the date of final payment forward in an effort to increase cash flow in tough times. In North America, for example, final payment dates used to be 56 days before sailing, but now most lines work on 75. Will Venice Ban Larger Cruise Ships? A long-running debate about large cruise ships entering the Venice lagoon escalated last week with the news the environment committee of Italy’s senate is reviewing a bill that could give Venice city council powers over its surrounding waters. A ministerial decree was issued in March to ban ships of over 40,000 tons from sailing too close to the Doge’s Palace, but it will only come into force once an alternative solution has been found. But senator for Venice Felice Casson wants to go one step further and ban all ships over 30,000 tons from entering the lagoon. He wants the ships to dock elsewhere and has suggested that the nearby shipbuilding center of Porto Marghera could fill the gap while new facilities are prepared (so much for all the money that has been spent on the cruise terminal in Venice then, where work was still ongoing when I passed through last year). 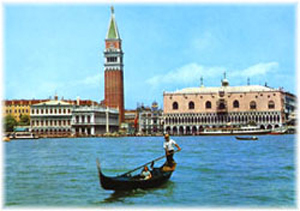 Venetian campaign groups such as “Italia Nostra” and “No Grandi Navi” have been up in arms about close approaches made by cruise ships sailing into the lagoon and along the city’s Giudeccia Canal to reach the cruise terminal. Meanwhile, Venice depends heavily on cruise tourism. The head of the local council worries about the damage to the city’s foundations from ships passing through the canal, which is 33 feet deep. He worries that the water they displace acts as a pump on the seabed. The wash churned up by passing cruise ships is said to be hollowing out the seabed and gradually turning the lagoon into an inlet of the Adriatic Sea. There is an interesting divide here. It seems obvious now that bigger ships have actually created a push back against the cruise industry, one that used to be equated with luxury but one where some of its members now sometimes come across like hungry corporate marine real estate developers. In the modern age, if only ships below 30,000 tons could sail the Canal, as Senator Casson wants, the result would be quite ridiculous. It would mean that only Seabourn’s smallest trio (its newest ships measure 32,000 tons), most of Silversea’s ships (but not the 36,000-ton Silver Spirit) and Hapag-Lloyd Cruises’ Europa could do so. Such a low limit would exclude every ship from Azamara, Crystal, Holland America, Oceania and Regent. These are not the real threat. The really big ships are operated by Carnival Cruise Lines, who christened the first 100,000-tonner in Venice in 1996 (and now have a dozen of them), Royal Caribbean (who have ten), Princess (with nine), Costa (with half a dozen), Celebrity and MSC (four each) and NCL (soon to be three). P&O and Disney each have two 100,000-tonners. These 100,000-tonners carrying 4,000 and more passengers are the real threat to a destination such as Venice. Setting the limit at 40,000 tons would allow in all Seabourn and Silversea ships plus the eight original “R” ships – Azamara Journey and Azamara Quest, Oceania’s Nautica and Regatta, Princess’s Ocean Princess and Pacific Princess, Hapag-Lloyd’s Columbus 2 and P&O’s Adonia, as well as Holland America’s Prinsendam and Regent’s Seven Seas Navigator. But it would still exclude Crystal Cruises, Regent’s two largest ships and Oceania’s two biggest. Surely none of these, with drafts between twenty and twenty-five feet, pose a real threat. It’s time for Senator Casson to go back to his drawing board and do some more research. Not all is lost, however. Just a day after this news broke, a group of cruise line porters, mooring, security, hospitality and tourism services in the city joined together to show their support for cruise ships. A 600-strong protest was held at the passenger terminal after the Cruise Venice Committee launched an urgent appeal to show support for the industry, which supports 3,000 jobs in and around Venice. The city itself has a population of about 60,000 but receives up to twenty million tourists a year.